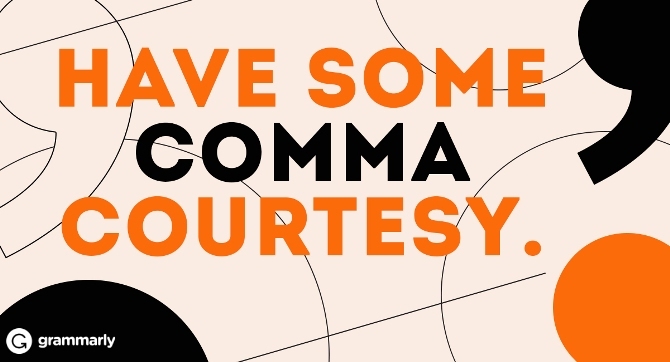 Let there be no mistake—the comma wields a power far greater than its humble looks might suggest. “You will go you will return never in the battle you will perish” is the most famous example of it. This saying is usually attributed to the Oracle of Delphi, and it is supposed to be an answer to the question of whether or not to go to war. If you place a comma before “never,” the answer becomes a green light. Place it after “never,” and the answer becomes a warning against going to war. In your average business email, a comma is very unlikely to represent the difference between life and death. Still, a misplaced one can change the meaning and tone of the message, which can cause confusion and undesired consequences. So let’s go over the two most important uses for commas in business emails. A business email starts with a salutation, and a salutation ends with a comma, right? Wrong. In business emails, the most formal way of ending a salutation is with a colon. So instead of “Dear Mrs. Johnson,” you should write “Dear Mrs. Johnson:” and then continue with the body of the message. In some cases, it might not be a faux pas to use a comma at the end of the salutation. You might write a business email where the utmost formality is not necessary, and in that case, the colon is not required. If you’re unsure, play it safe and end with a colon. But in the last quarter of 2015, we’ve seen an increase in consumer activity. The departments that had most of the activity were toy stores and gift shops. Toys, plastic Christmas trees, and spirits went out of stock. The suppliers were contacted immediately, so we were able to restock the missing items in time. In the meantime, the consumers were encouraged to look around other departments; and that’s what, it turned out, led to a small increase in sales of non-seasonal items. In this case, the coordinating conjunction should have a semicolon in front of it. So there they are—a couple of simple guidelines for using commas in business emails. With these in mind, you can stop worrying about offending your business associates by accidentally sending them informal emails. You’ll also enhance the clarity of your writing. But remember, the comma is powerful; you should study it in detail. Good thing you’re in exactly the right place to do that!